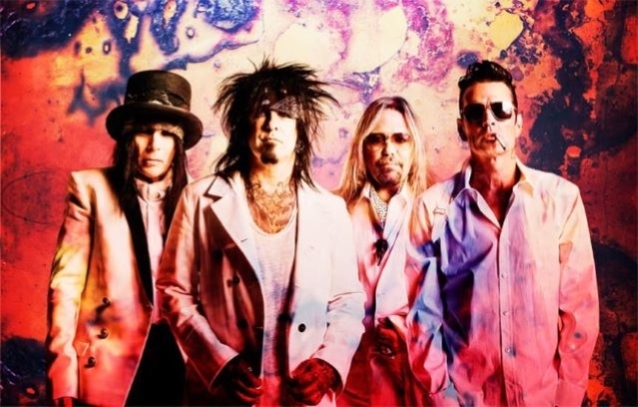 According to Kelowna Now, a Canadian driver has blamed a MÖTLEY CRÜE song for his recent speeding ticket. The Royal Canadian Mounted Police in Manitoba pulled over a driver for this week who claimed he was driving above the speed limit because "Kickstart My Heart" was on the radio. "Funny enough, our officer knew he was telling the truth, since he was also listening to it — just at a much slower and safer speed," said a social media post from the RCMP. Because the driver was ticketed for going 145 kilometers per hour — well over the speed limit — he was fined CAD $639 CAD (approximately $481). English psychologist and professor Dr. Simon Moore, who has studied the impact of music on driving with the 40 most popular tracks on Spotify during 2017, has said that the ideal driving music matches a person's resting heart rate (between 60 and 80 beats a minute). At this tempo, a driver's adrenaline is not affected by the music, and their mood is not altered in a way that affects their driving. Hard-rocking dance and hip-hop songs — including GUNS N' ROSES' "Paradise City" and NICKELBACK's "How You Remind Me" — were on the list of most dangerous tracks to listen to while driving. Songs that promoted the safest driving behaviors included Elton John's "Tiny Dancer", Nora Jones's "Come Away With Me", COLDPLAY's "The Scientist", Justin Timberlake's "Cry Me a River" and RADIOHEAD's "Karma Police". In the experiment, four male and four female motorists drove 250 miles each, while their driving skills were measured. They then drove a further 250 miles listening to different playlists each. Listening to heavy metal music caused male participants to drive much faster and one female participant drove much more aggressively when listening to hip-hop songs. "Music that is noisy, upbeat and increases your heart rate is a deadly mix. Fast beats can cause excitement and arousal that can lead people to concentrate more on the music than on the road," Moore said after reviewing the footage of the drivers. "In addition, a fast tempo can cause people to subconsciously speed up to match the beat of the song."